Congrats on the new (to you) 82 5 speed. It looks like that salvage car will come in handy for you. I purchased a 1979 5 speed that I picked up in Utah a few months back. It runs great, interior is so so , exterior is original paint that is very faded. It is black on black. Ordered new carpet for the blue 91 and a new wiring harness. I left the 83 5 speed (brown) in alabama with my middle son. My 84 US 4.7 Engine bay. 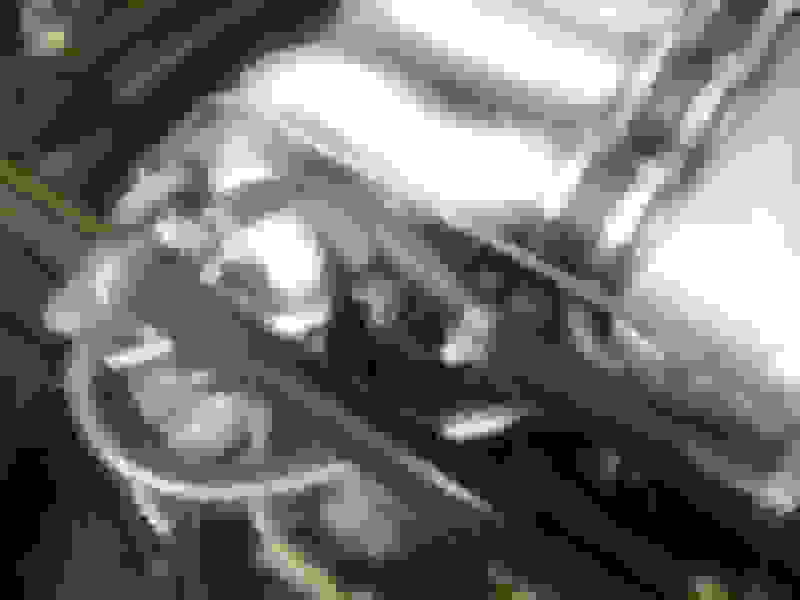 The hose that comes off the rear port of the idle valve goes to a three-way vacuum tee, at the tee...one hose comes from idle control valve (about 3/8's diameter), the largest vacuum hose comes from the lowest port on the front of the throttle body (about 1/2 inch in diameter) and the other hose (about 5/16 in diameter) comes from the soleniod mounted on the right inner fender (just behind the cross member). 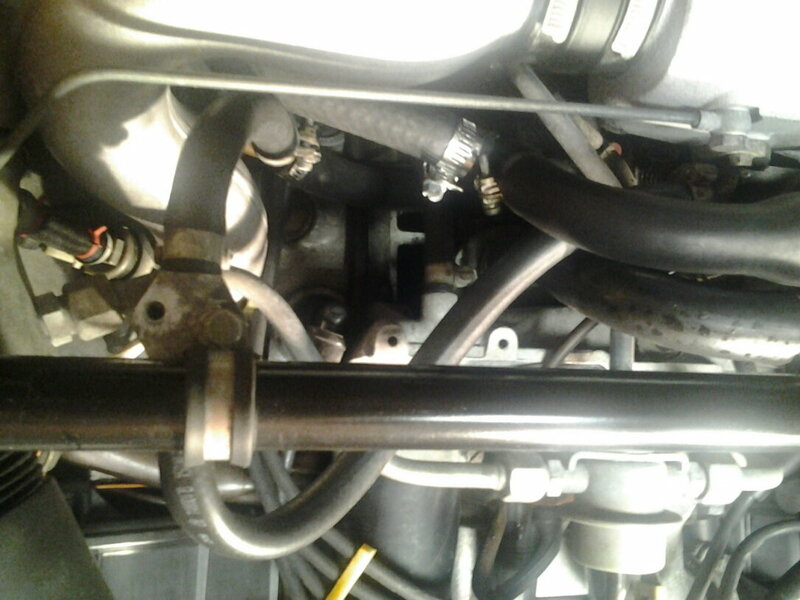 The hose that comes off the front port of the idle control valve goes to the front portion of the intake plenum, just below the auto trans vacuum steel line (which you don't have). 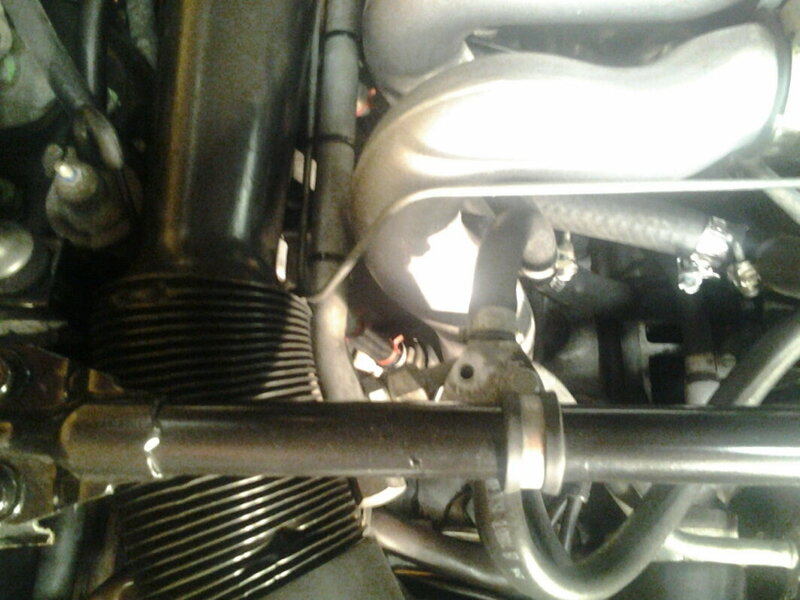 You can see the valve mounted to the inner fender, just behind the cross member and to the left of the air intake tube. Subscribed (just like to #30)! I got it all sorted....1 end goes to a Y adapter (which I found broken in the box of junk that was in the trunk, the Y goes from the bottom of the throttle body housing, to this device, and to a plastic vacuum thing that goes to the charcoal canister. The other end goes to the hose on the front of the spider body. All I need now is the hose that goes from the top of the oil fill/separator, to the throttle body (it is a custom hose, fat on one end, curved, and then goes small.) I was going to make one, with copper and rubber, but I caved and ordered the right thing. Should be here Monday. I also ran about 10" short of blue vacuum line, which I have also ordered, and vacuum will be complete. I cut out a rusted through hardline underneath, and repaired, also replaced the filter for the smog pump, and replaced he fuel line rubbers to hard line, with new gates barricade...it'll do until I can afford the real thing. Coming right along. Thanks Brian, the pictures do help...the 82 does not have that valve, that is to the left of your intake tube, but it has a plastic one, with about the same hose setup. Yea Harvey, hope to scarf a few good pieces off the 84... Have not really used anything much off it yet, except the hard fuel lines for the damper. Let's see some pics of your new baby! Hoi, the really early cars don't have the doohickey, or the wires for it. I am also in the understanding that it does something in conjunction with the IAC, to increase the rpm at idle, when the ac is running. According to a diagram I found in the PO's paperwork, it looks like the wires for it tie in to the wires for the IAC. Thom...yea feel like I'm cheating on 30 a little bit, but I have somewhat stalled out with her, as I am to a point where I am stripping it out....want to get the 82 drivable, then swap them in the bays, so I can have more room to tear 30 down. She will get her loving, in fact, she currently runs better than whitey! I'm real close to reassembling the intake of this beast and seeing if the running problem has gone away, or persists. The PO said he tore it all apart trying to fix it, but somehow, with all the things I found disconnected and by passed, he may have missed the problem early on, and made it worse. Hey Ron, I remember you mentioning the PO had "fixed" the fuel pump as well. Did you find any of his trademark mods back there? Thanks for the heads-up Ron. I thought that I would contact Roger again to add another missing piece to the Blue Iris puzzle. Now, I know why Roger is everybody's best friend! BTW, I love your thread and hope you don't mind my lurking here to learn a thing or two about how to proceed with my own '78. When I am not embarrassed about my profound lack of experience with working with cars, I will also start a thread to monitor my own Blue Iris' progress. Hoi- please lurk and comment all you wish..hope my thread helps. Perhaps you might want to read through my thread on car #30, since it is all about the OB....if you have not found it yet, here is a link....the car is only about 40% done....so the thread will continue to grow! A good pusher with a good supply is every junkie's best friend. The 82 is looking nice. I hope you can simply reverse all the "PO idiocy" and get it running nice.